Janasena Party Chief Power Star Pawan Kalyan along with Nadendla Manohar went to Lucknow yesterday to meet BSP Chief Mayawati. Speculations are rife that, Pawan Kalyan is trying to form a new front along with the parties against the national parties BJP and Congress which both betrayed Andhra Pradesh state. As per latest reports, it is coming out that, Mayawati didn’t even give appointment to Pawan Kalyan, though the Janasena Chief waited for sometime at a hotel room. Then when he got the clarity that, she was not willing to give him the appointment, Pawan and his new friend Nadendla went to Ambedkar’s Memorial in Lucknow where they spent 2 hours. Interestingly, in a press meet released by Janasena, they didn’t mention a word about Pawan Kalyan’s real intentions of flying to Lucknow. They said he went there to visit Ambedkar Memorial Park. “Pawan Kalyan is the second person to visit the park on foot,” they mentioned. 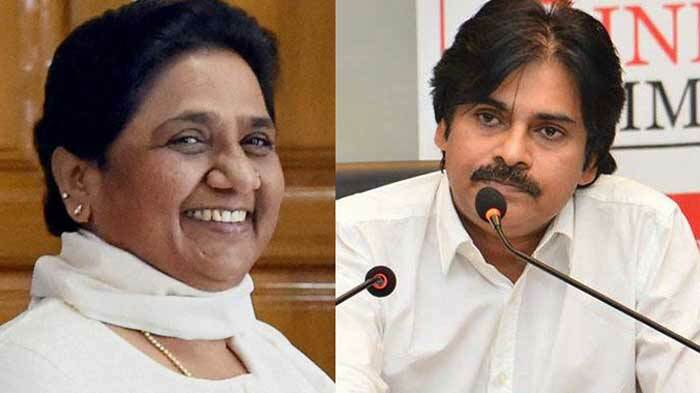 Observes feel, it is a big insult for Pawan Kalyan who thought of getting support from Mayawati who actually was willing alliance with TDP Chief Chandrababu Naidu to form third front! HGPK 1st Week Collections, Good!